SMTP Coupons > Blog > Email Marketing > How to do affiliate marketing using bulk emailing! How to do affiliate marketing using bulk emailing! If you are an affiliate marketer or want to be a successful affiliate marketer you need to approach lots of people to whom you could sell products of vendors so that you could earn commission on them. Now question is how you could do that? You can do blog posting or social media marketing but does posting can to have high volume sales? The answer is simply no that may be helpful little bit but for long run and continues earning you need to have a solid source of marketing. So that you could remain in touch with your subscribers and keep them posting about latest products and promotions of your vendors. Because on each sale you gona earn commission more sales more commission. The best way to do it is email marketing or bulk emailing you can say. But wait before you do that you need to know how you could do that and what are the things you need to start. So here is what I think you should have before starting up bulk emailing for affiliate marketing. 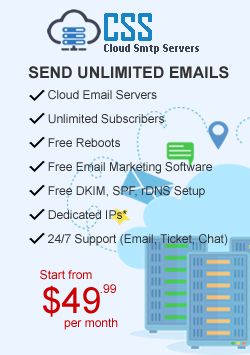 SMTP Service: A SMTP service with email marketing software that can help you do send unlimited emails to your unlimited subscribers and make sure the provider does allow purchased lists as well. Because you will be sending so many emails and its obvious you can have genuine organic subscribers in millions. So it’s sure you gona buy lists and when you gona send to those list you may face blacklisting issues or complains so your SMTP server provider has to be convenient with that. Consumer Email List: To start sending emails you need to have leads or email lists and they should be in millions so that you could try to target maximum number of people. The more subscribers you will have the more chances of sales. You can buy email list from any online available source but make sure they have latest updated version of the lists. The lists should contain first name, last name, dob, email id, country, city, zip code and source link so that you could perform segmentation if required. Email Delivery Software: you need bulk email sending software with all tracking features i.e opened, clicks, unsubscribers, bounces etc… It could be sendy, mailwizz,mumara etc… Normaly Bulk mailing service providers give one these free. Email Campaign Design or Content with Nice Subject Line: This can be provided by vendors in their campaigns. Can be found at your affiliate network website. Once you have all above you can start sending emails. And you will see soon that you can have better income out of it and it will be more cost effective normally majority of the affiliate marketers use bulk emailing as source of marketing for their affiliate network business. Segmentation can play a great role in sales for example if you have campaign about a product which is only for females so using segmentation you can only send that promotions to females.